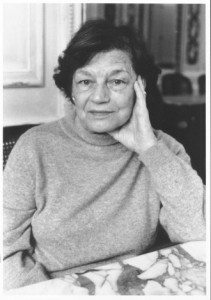 Thousands of mostly handwritten pages from Mavis Gallant’s personal journals will be published by McClelland & Stewart in Canada and Alfred A. Knopf in the U.S., The Globe and Mail reports. Gallant, who turns 90 in August, left Canada for Paris in 1950 and is known internationally for her mastery of the short-story form. Among her awards and honours, she received the 1981 Governor General’s Literary Award for Home Truths and was appointed Companion to the Order of Canada in 1993. Acquired by Doug Pepper, publisher of Signal/M&S, and Knopf senior editor Victoria Wilson, the multi-volume journal will be edited by U.S. literary agent Steven Barclay and Frances Kiernan, a biographer and former editor at The New Yorker, which over the years has published more than 100 of Gallant’s stories. No date is set for publication, but The New Yorker will run an excerpt in an issue this summer.